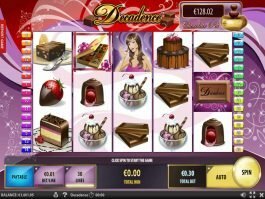 Progressive Jackpot Slots - Play Online Slots with Progressive Jackpot! 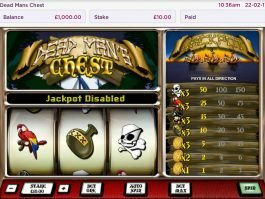 When it comes to the world of online video slots there’s a lot to choose from and the sheer amount of different ways to win can be outright dizzying. 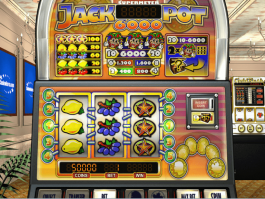 The primary feature of all jackpot slots is the jackpot itself, that one-off, big time, life changing win! But not all jackpot slots are created equal. The concept is pretty simple really. 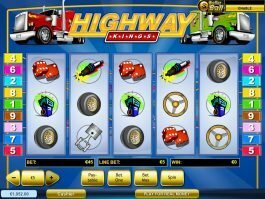 Progressive jackpot slots set aside a small percentage of each coin played to add to the overall jackpot. 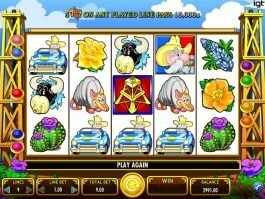 That means that with every game played the jackpot increases until someone has won the jackpot, making progressive slot machines capable of reaching exceptionally high jackpot amounts as long as there is no jackpot winner. This means that the more times you take a spin on the same progressive jackpot slot, the higher the total prize. 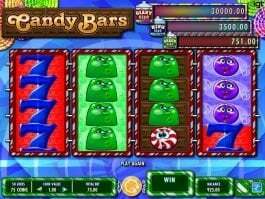 Better yet, as progressive jackpot slots work best online, where multiple players can be playing on the same slot at the same time, jackpot amounts can quickly climb into the stratosphere as long as there is no winner. 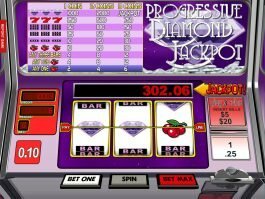 At the same time, most progressive jackpot slots, in an attempt to offer the highest possible jackpots, are often linked together. 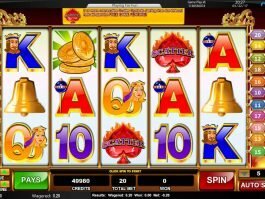 That means that a number of different slot machines will be connected in a way that pools the overall jackpot to make one huge progressive jackpot that can be won by playing any of the different, linked machines. So, the more people who play a progressive slot machine, the higher the total jackpot at any given time until there’s a winner. 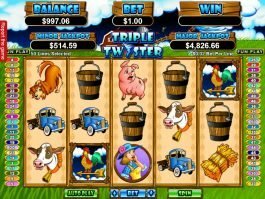 It’s not uncommon for progressive jackpot slots to quickly climb into the millions of dollars as more players step in across a network of linked progressive slot machines in search of hitting a life changing win. 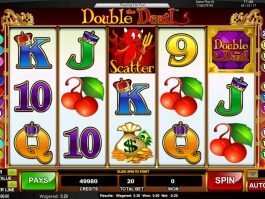 How do progressive jackpot slots differ from fixed jackpot slots? 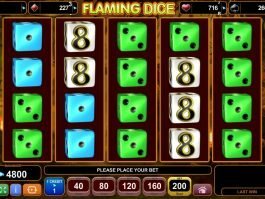 Progressive jackpot slots differ from fixed jackpot slots in two important ways. The first is obviously that the jackpot continues to rise as more players insert coins. 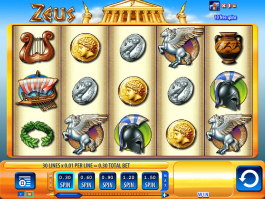 Conversely, fixed jackpot slots offer an unchanging fixed amount for the grand prize. The second major difference is that progressive jackpot slots are likely to pay out less often and in lower amounts than fixed jackpot slots. The reason is simple. 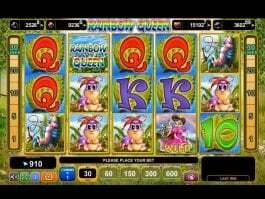 Progressive slots must put aside a small percentage of each coin played to add to the ever-growing progressive jackpot. 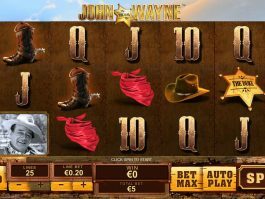 This means that there is less money available to pay out smaller wins, resulting in online slots machines that will pay out slightly less frequently and usually in smaller amounts for minor wins than their fixed jackpot relatives. So progressive jackpot slots always present an upside and a downside. 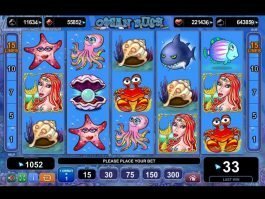 The downside is that progressive slots will, as a rule, have slightly worse odds than fixed jackpot slots, paying out smaller amounts less frequently than their fixed jackpot brothers. 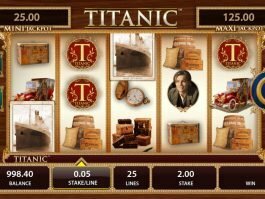 The upside, however, is significant as the grand prize jackpot amount, especially if you’re playing on a popular, networked progressive slot that hasn’t registered a jackpot in some time, can be simply astronomical. Slots enthusiasts who are in search of the big win and all the new life possibilities that come with it are usually willing to forego the smaller, more frequent payouts to be found with fixed jackpot slots in favor of the chance and thrills involved in truly striking it rich with the single click of a mouse. 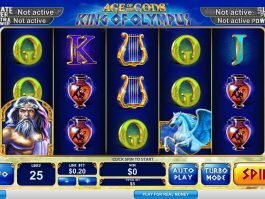 More conservative slots players, who enjoy the excitement of more frequent wins and the validation of luck that comes with them, will tend to steer toward fixed jackpot slot machines and slot machines with bonus rounds. 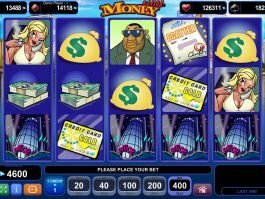 At the end of the day it really comes down to what you’re after, the thrills and excitement of smaller but more frequent wins of a fixed jackpot slot machine, as well as the potential to hit the fixed jackpot, or the less frequent but phenomenally more substantial sums that come with hitting it big on a progressive slots machine. 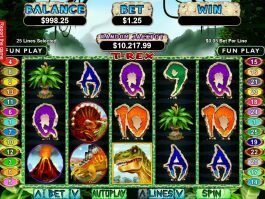 The logic here is simple, most slot machines, whether they are fixed jackpot slots or progressive jackpot slots will require that you bet max if you are to pick up the best prizes. Always betting max means that you’ll always be in the position to reap the greatest possible rewards from any win, no matter how large or small. 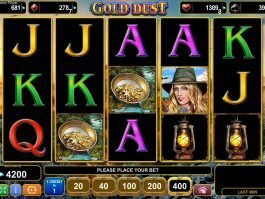 The fact is, and any true slots aficionado will tell you this, there is nothing more frustrating in the world that landing a big win only to learn that the actual payout is somewhat trivial compared to the potential win, all because you didn’t play max coins. 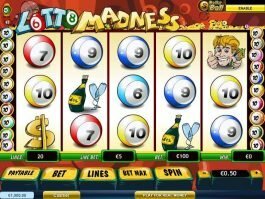 Most modern video 5-reel slots today offer players the option to select from a number of different paylines. 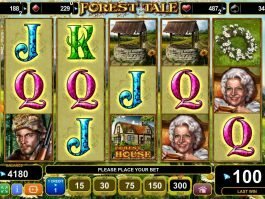 Depending on the slot, this can range from as little as 5 to over 1024 different ways to win. Playing all paylines ensures, especially when you’re playing a progressive jackpot slot, that when you do get lucky and the jackpot symbols appear on the screen you maintain the highest possible chance of winning said amazing jackpot no matter where the winning symbols appear, as long as they are on one of the machine’s paylines. 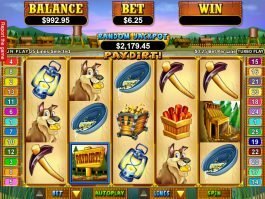 While statistically your odds of striking said jackpot remain the same, as all today’s online slot machines use random number generators that make each spin a statistically unique event – in other words completely independent from any of the countless spins that have come before – you want to maximize your payout in the event you do hit the jackpot. That means it’s always best to play the progressive slot machine with the highest jackpot at the time you start to play. Lack of success or luck, by you or other players, will only make said jackpot that much higher, so when lady luck does show you’re truly in the money and it’s time to take that trip around the world or buy that sports car or new house you always wanted. 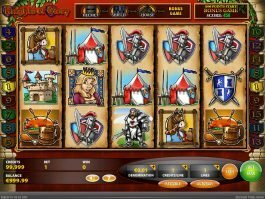 One of the things that separate the best online casinos where you can play slots for real money. from their brick and mortar counterparts in places like Las Vegas, Reno, Atlantic City, Macau or your local Indian reservation is that online casinos offer bonuses to get you in the door and keep you playing. It’s always a good idea to shop around for the best online casino bonuses available before you jump into a heated slots session. Online casino bonuses extend not only your bankroll and playtime but your fun. A note of caution though, always read the fine print in the terms and conditions of any individual casino bonus to make sure the bonus can be used to play progressive slots (this varies greatly by casino and bonus)! Playing progressive slots is more like running a marathon than a quick sprint. 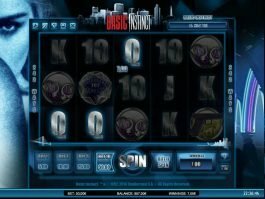 As the jackpot steadily increases with each non-jackpot winning spin, it’s in your best interest to play at a reasonable pace and not rush things. 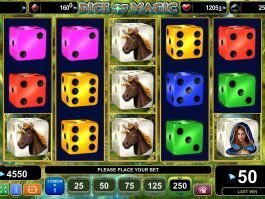 After all, thanks to the possibility of multiple players playing the same online progressive slot and the same time, that magic jackpot is just going to keep rising, making your potential big win taste that much sweeter in the end. Some things, they say, are definitely worth waiting for! Now that’s some serious cash folks, and why progressive slots are really the way to go if you’re looking for that one, eternally life changing spin to rocket you into the millionaires’ club in the blink of an eye. The most played progressive online slots come from completely different places on the online slot spectrum. 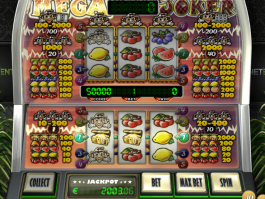 Perhaps the world’s favorite online progressive slot is Mega Moolah. With Mega Moolah chalking up 3 of the top five all time progressive slots wins, paying out a total of $40,751,965.68 between 2015 and 2016 alone, it’s easy to see why players love to take a spin on Mega Moolah in hopes of walking away with a mind blowing mountain of cash. 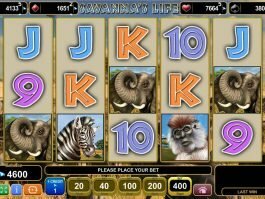 The slot itself is a fairly traditional 5-reel, 25 payline slot machine offering up an animal theme featuring winning lions, giraffes, zebras, ibis and water buffalo among classic 10, jack, queen, king and ace card symbols. Mega Moolah’s wild is the King of the Jungle, the lion symbol, and works in place of any other symbol except scatters. The lion wild adds a 2x prize multiplier to any wins. 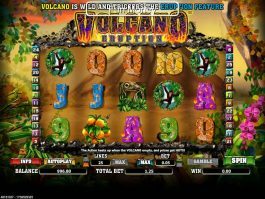 Bonus rounds, triggered by the monkey scatter symbols, dole out a 3x prize multiplier and 15 free spins. At the end of the day, however, it’s the Mega Moolah progressive jackpot that’s the true King of the Jungle. 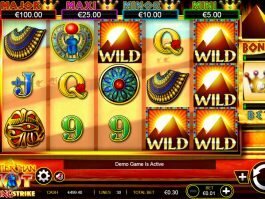 The progressive jackpot actually comes in four different tiers win a minimum prize of GBP 10, GBP 100, GBP 1,000 and GBP 1 million for each tier respectively. 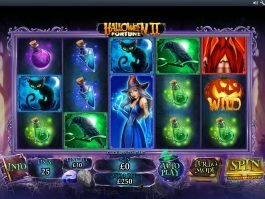 According to available statistics, the progressive jackpot on this immensely popular slot is triggered once every 12 weeks on average, making it the single most popular progressive jackpot slot in the world. Coming in number two is Gladiator, based on the blockbuster movie directed by Ridley Scott and starring Russel Crowe. 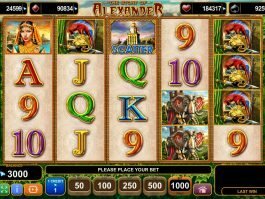 Brilliantly animated, with bonus round scenes from the movie, Gladiator is a 5-reel, 25 payline slot that even includes two bonus features that pay out up to 5,000 times your original bet. Again, while Gladiator has fantastic bonus rounds, prize multipliers as well as wilds and scatters, it’s real charm is in its progressive jackpot. Its minimum starts at $58,000 and regularly goes well over $1 million. 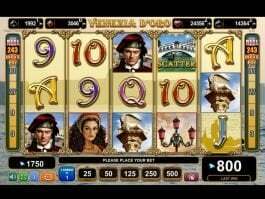 The third most popular progressive jackpot slot in the world today is the Arabian Nights slot. 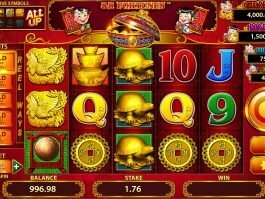 Based on the epic story One Thousand and One Arabian Nights, this machine is a classic 5-reel, 10 payline slot with great bonus rounds, free spins and prize multipliers. 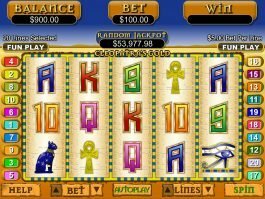 The progressive jackpot, however, has been known to hit some pretty amazing heights with the largest win ever at $10,029,641.29 and average jackpot wins of $1,922,576.94.